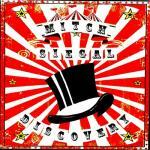 Sign up for Broadjam today to follow Mitch Siegal, and be notified when they upload new stuff or update their news! This is a double album with 18 songs to enjoy. 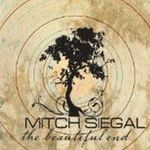 The Beautiful End is Mitch Siegal's first solo release in 2009 This is a double album with 18 songs to enjoy. The creation of the Beautiful End took 5 years to create. The importance of this body of work helped the artist discover his true place in music. ie the diversity of the songs and how they were received by fans and film directors. The Beautiful End CD is a stepping stone for future creations and albums to come. This song is about living in peace no matter who or where you are in the world. Life is for giving, life is for living, it?s what we?ve all been put here for. Put aside difference for good, we?d sleep better if we could. The song is about having everything and being too short sighted to realize it until time has run out. Remember her face, she?s looking for new love found out there in outer space? Too late when she?s sad, cause nothing else matters when a broken hearts been left out there too long? If only I knew just then, how to save one moment in time? I?d live everyday with your magic moments, swaying, fading in and out of my mind? Remember the way, she?d given you everything and taken nothing back? Being Patient, your day will come! Long road?all the way to who knows where? Some day , I?ll be here to take you there..
For now each day we go on biding our time? Some day we will look back honey?wondering how we all got by?. One day we will count our money?.saving for a? pie in the sky?. I?ll go , anywhere you want to go?I?ll do , anything you want me to?.I?ll be everything you want me and more?. Now that, we have finally made it here? Hard work , through all our blood and sweat and tears? No one is ever gonna take it away? 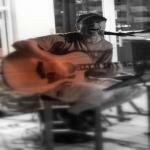 This song was written and inspired by one of my patients who's life was tragically cut short. I dedicate this song with love and compassion to all who knew and loved her. What is here today is goneÂ?what works now wont work for longÂ?.I am here to tell you all about itÂ?. Work your hands up to the boneÂ?for that mansion you call homeÂ?.Looking back wondering was it worth itÂ?. Then you wake one day to findÂ?that your all aloneÂ?.the world has left you far behind your cherry snow coneÂ? Here today and gone tomorrowÂ?no other wayÂ?live for todayÂ?. Here today and gone tomorrowÂ?no better wayÂ?live for today Â? not for tomorrowÂ? Now and then you catch a break, like biting into chocolate cakeÂ?not many things in life get that much sweeterÂ? Then you wake one day to findÂ?that your not aloneÂ?.the world wont leave you far behind your cherry snow coneÂ? Intro short Tag to endÂ? Growing up and idolizing my father and later as an adult, learning about all the flaws but accepting that he was human. Loving both my parents for who they were. I know the truth bout how its supposed to be ? qualify love and then you qualify me? I?m not crazy , crazy bout you? I know the answers, When you don?t tell the truth? All grown up and now I understand why?some of the things we do won?t always be right? I used to watch you drive your big yellow car down the driveway?driveway?.driveway?. I?d run from window to window to help me ease the scars that I got from you?. And I wonder if you ever truly really loved me?the way I loved you? I wanted to grow up being someone just like you?like you?like you?.Like you ?not you?. Look at the stars for the answers?.that I got from you?. I spoke to Jesus Christ?but I don?t think that he told me the truth?the truth?the truth?no truth? Getting back to what really matters in life and letting go of trying too hard to be the best at everything! Its Ok to fail once in a while. Its OK Its All right to be the best you can be? don?t matter don?t worry , be glad your not like me? Its OK Its all right, to feel the way that you do? don?t matter , don?t worry?its wont always be up to you? Its OK to be the second best in the crowd? permission to fail once a while give in to a smile ?from so long ago? Hello it?s me ..the world love to see?you back in the good life?. Your off somewhere finding yourself searching for the good life? Being in love with someone, but so busy with life and all the distractions that go along with it, that finding the time to connect emotionally is tough. A Long journey out to Tucson Arizona when I was in my twenties, and how my folks were pissed that I left florida to sew my oats in my new career as a doctor. the song is wakeup call to the human race. solely we fail, together we can emerge victorious against crimes to our home...earth. Live for today...live with the hope you'll find...Somehow to give...someway to show you're kind. Tag (2x) full with power chords to End. I'll do what you ask of me, I'll say its blue when it's plainly green and when your needs are put before, well something tells me, you love you more, when love is wrong. When love is wrong.....Love is Wrong. In Life there are many emotional states and how you deal with them is key to survival. This is a lullaby inspired by my office managers little boy. Hayden...listen for his name, its hidden somewhere in the song. A train accident that really happened to my dad and his future wife 45 years ago where she was unfortunatlly killed in the accident. Wake up in the morning with the train still in my head? Thoughts and memories keep spinning down that rabbit hole? I think its late too late remember something that she said? Oh yeah, holding on with two hands wont give you that much control? New years eve so cold out when she climbs into my ride?. There?s shelter down that empty road, just you and me inside? One last look at you before she turns her head away? I remember clearly now the only word she said? She said, Drive? ?, she say ? drive?. A lifeless body sprawled out over moonlit desert roads? She looks so pale now lips so cold her hands so nearly froze? The moment came so fast we never even saw the train?. I hear the only word she says before she slips away?. love and how patience plays a vital role before your in it or while your in it. In one months time, we were robbed and my wifes father died of a heart attack. 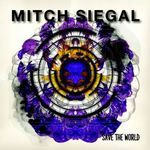 it's really aweful getting that bad news "Ten Seconds To Midnight" Enjoy the song, it means alot to me. Not a care in the world to consider, and everyday?s just playing around?. You try your best to keep your head up high, and swim your way back close to the shore? Ten seconds to midnight baby, when your eyes are closing shut for the night? Bad luck can catch anyone when they?re sleeping?sleeping close to the floor. Forever you carry your anger, let it slip aside?just look for the best in every soul you pass by, waive and say goodbye? Saw a smile in the waters reflection, so happy when I noticed it?s mine?